Starting a rental business is a great way to become your own boss. But running any business is challenging, even when working from home. You need the right strategy if you want to stay afloat. As an employee, you have a clear set of responsibilities. You have a manager overseeing you to keep you on task. But you have the security an established company provides. You must provide your own security when running a business. You must be prepared for lifestyle changes as well. Running your business from home has its own set of challenges. You may buy property you’d like to rent out. That property alone will generate revenue. But you’ll have to invest heavily to make sure that happens. Owning your own business is entirely different than a regular job. Your income is not guaranteed. Your livelihood is contingent on your own personal property. You will face unexpected costs. You will spend time chasing possible lessors. And you will pay out of pocket to maintain your property for them. But starting a rental business can be lucrative. There are distinct advantages to running it from your home as well. If you’re successful, you can improve your finances indefinitely. You’re committed to your goal, so it’s time to prepare. The premise of owning rental property is less complicated than you think. But be prepared to work for your investment to pay off. The following tips will help you get started. Consider this in advance as you prepare yourself for the work that starting a rental business entails. You will invest time, effort, and money in your business. But your greatest financial investment is property. The quality of your property is the greatest contributor to your ultimate success. Everyone knows the real estate saying, “location, location, location.” You need to understand that more than anybody. Location will determine the value of the property in which you invest. Naturally, you want to find a great deal. Purchasing cheaper properties in developing areas is a good move. You should avoid investing in upscale properties at the start. You won’t have to pay office expenses when working from home. You’ll also have a centralized place to manage all aspects of your life. You will need this flexibility as your business and personal lives overlap. The property type is also a practical consideration. If you rent out houses, you can minimize the time you spend on repairs. You can maximize value with basic apartments as well. Another tactic is to rent out your principal place of residence. This gives you a CGT main residence exemption. It provides tax benefits and can lead to a great windfall. Finally, avoid investing in properties far away from your home. You will need to be on-premise for certain events. It’s costly and inconvenient to travel back and forth. Before you buy your property, ensure you can afford it. Ensure your initial investment will pay off in short time. You will have to absorb that cost until you get tenants into the home as well. Do some basic research about average rental costs in your area. Will prospective renters consider your prices competitive? Bigger or smaller investments could have different payoff levels based on these figures. You should understand the maintenance requirements. Older properties might have more frequent problems. Properties with uncommon requirements will drive up costs as well. Don’t forget about your needs either. Will the return on your investment leave enough for you? Establish a basic income level you require to maintain your lifestyle. Don’t hesitate to scout around. You can call up property managers in the area and see what they’re charging. Use online tools to find rental prices in your area as well. The first thing renters look for is price. They will rule out all properties out of their price range. You need to maximize exposure and value at a reasonable price. You need to hit the ground running when tenants move in. You need access to tools and supplies to answer any maintenance calls. You need established lines of communication as well. You need to ensure the property is in top working condition before it hits the market. Expect prospective tenants to test the utilities. Disrepair is a deal breaker right off the bat. You may need to pay for refurbishing as well. This will be part of your property investment. Though you may only do this between leases, factor it into your regular maintenance costs. There are a few steps with which you should consider professional help. 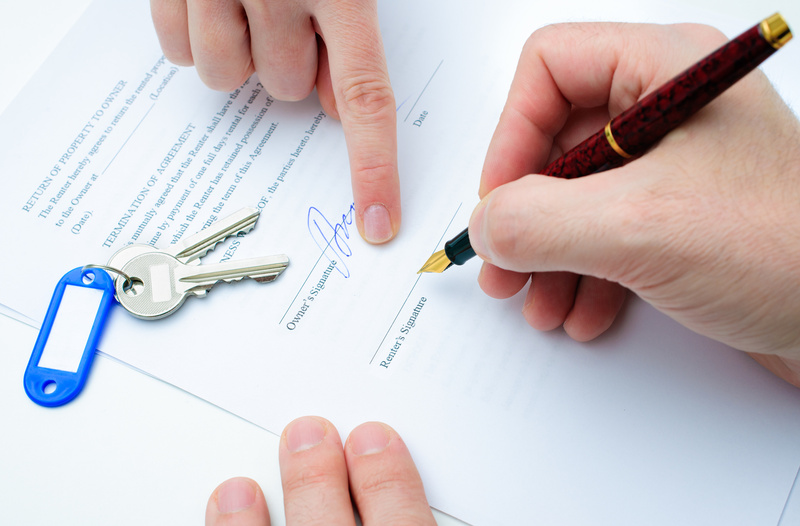 Writing an appropriate lease is best left to a legal consultant. Real estate consultants can help you get your listing in front of the right people as well. You’ve taken steps to prepare your business for the market. In time you will find trustworthy renters to step through the door. You’re on your way to generating income. But collecting rent is the easy part. You have several other jobs to consider. For example, you are the repair person until you hire help. You are a business manager and accountant for yourself. You have to ensure the safety of your tenants as well. You may start fielding customer service calls in your home office. You may have to deal with uncomfortable tenant conflicts as well. Do you have what it takes to approach tenants who violate the lease? Finally, you are your own ambassador. The relationship you build with your tenants will reflect your professionality. You can expect that information to end up online as well. Customer care is a responsibility, not a bonus. Keeping your tenants happy has true business value as well. Finding and keeping tenants is at the heart of your business. Running your own business is a “people” job. Be prepared to speak to a lot of them. Nobody is going to do it for you. If you have what it takes, you’re in for a lucrative future. You can hire more help as you expand your properties. Master everything from the start and you’ll grow in your knowledge and leadership abilities. Want more advice on starting a rental business? Get the best info from Working Home Guide. Browse our articles to get started. Contact us to learn more about publishing opportunities for you.